Asians behaving badly... Buddha statue vandal edition! In Orange County, authorities are asking for the public's help in identifying a woman caught on security camera repeatedly vandalizing a Buddhist temple. 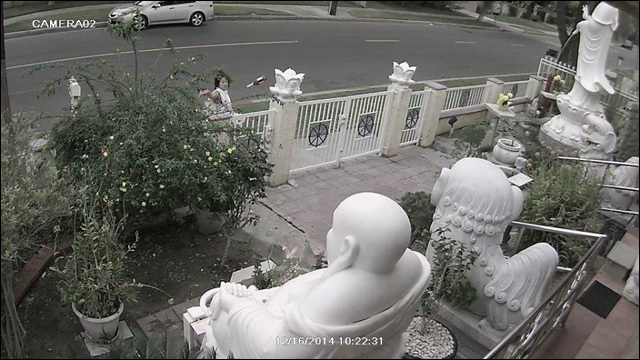 Surveillance video shows an unknown woman throwing glass bottles over a fence at statues of Buddha, locatd at the front the Hong Tich Buddhist Temple in Santa Ana. She has apparently done this multiple times. According to the Santa Ana Police Department, there have been eight incidents of bottles being thrown at the temple in the past three weeks, causing damage to the statues. The Santa Ana Police Department was contacted by the Hong Tich Buddhist Temple after they located surveillance video of an unknown woman throwing glass bottles at statues of Buddha located at the front of their temple. Since 12/16/14 the temple has experienced a total of eight incidents of glass bottles being smashed at the front of the temple causing damage to the statues. The female depicted in the photos was observed throwing bottles at the statues on three separate occasions during various hours of the day. It is believed she may be involved in the additional incidents. 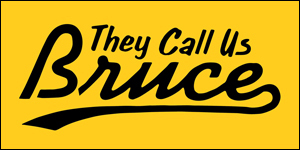 The additional incidents occurred on the following days: 12/18/14, 12/25/14, 12/30/14, 12/31/14, 01/02/15, 01/05/15, and 01/06/15. What's up with that, lady? 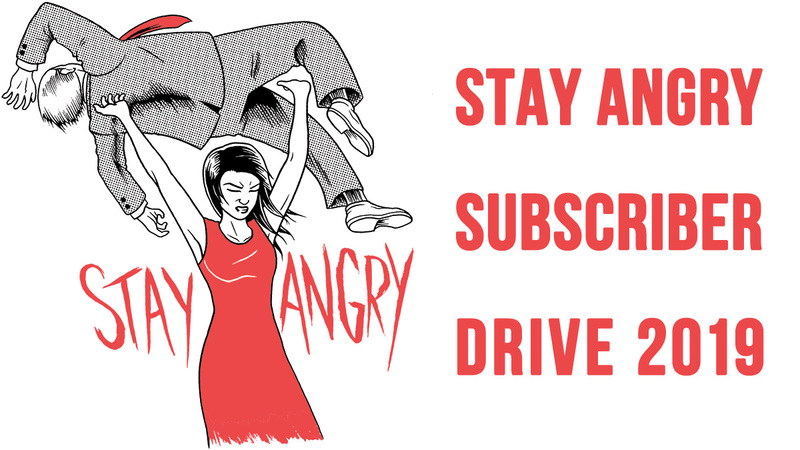 Angry at Buddha? The suspect is described as an Asian woman, between 25 to 40 years old, weighing 115-130 pounds, and standing 5-foot-2 to 5-foot-5 inches tall, with short dark hair. Anyone with information about the bottle-throwing woman is asked to contact Santa Ana Police at 714-245-8732. Anonymous tips may be left with Crime Stoppers at 855-847-6227, occrimestoppers.org or by texting to 274637 from a cell phone. All text messages should begin with the letters "OCCS."